ATLANTA – U.S. Senator Johnny Isakson, R-Ga., today announced that he will tour and meet with senior officials at Fort Benning on Thursday, September 3, 2015. His visit is part of a tour of four Georgia military bases over two days. Isakson’s visit to Fort Benning will include a briefing from Base Command, the 3rd Brigade Combat Team and a visit with the 75th Ranger Regiment. Isakson will conclude his visit with a meeting with the Valley Partnership. 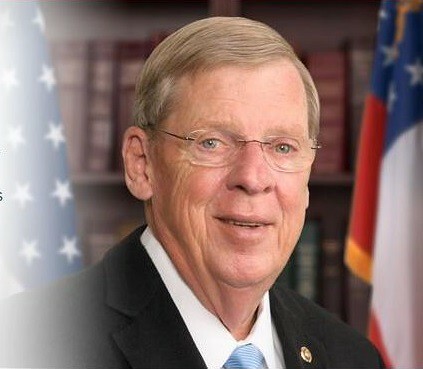 Isakson will be joined by U.S. Reps. Tom Graves, R-Ga., and Sanford Bishop, D-Ga., and during his visit to Fort Benning. The Georgia delegation’s two-day tour of military instillations across the state follows a series of Washington, D.C.-based meetings that Isakson has led with senior Pentagon officials from each of the branches of the armed services to discuss the importance of Georgia-based equities and assets and the critical roles each play in our national defense. The media will be invited to meet with Isakson and the delegation at press briefings at each of the base tours. Media must RSVP to Amanda_Maddox@isakson.senate.gov no later than Monday, Aug. 31, 2015. Media to meet at Main Gate by 3:30 p.m.
Isakson is also chair of the Senate Committee on Veterans’ Affairs and has made it a priority in Congress to ensure our nation’s veterans are given the care and support they deserve once they have returned home from the battlefield. Isakson recently held an official field hearing of the Senate Veterans’ Affairs Committee in Gainesville, Ga., on August 21, 2015, regarding the Veterans Choice program.